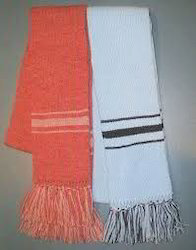 Our product range includes a wide range of wool scarf, acrylic scarf, ladies woolen stole and pink woolen stoles. We proudly present an exquisite range of Wool Scarf. These scarves are designed from the optimum quality wool and best stitching machines as per the trends & quality standards of market. 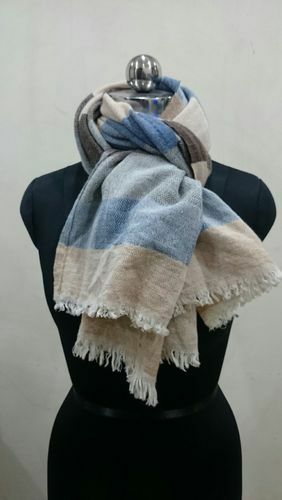 The offered wool scarves are perfect attire to carry in winter season with both formal as well as casual wear. 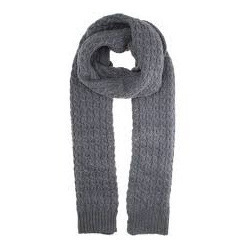 As well, our wool scarves are typically worn by all girls & women. We have gained recognition as the significant manufacturer, exporter and supplier of superior quality range of Acrylic Scarf. The use of high quality threads ensure that the range is high on attributes like durability and dimensional stability. This acrylic scarf can be worn with any dress of any color and provide style and elegance to the person. Also, our offered acrylic scarf is available in several sizes & colors options accordingly with the customer’s demand. We R G International are a well known manufacturer and supplier of an excellent quality of Ladies Woolen Stole. These are fabricated as per innovative styles and design. We offer in varied shades, shapes, colors and texture. These Ladies Woolen Stole are widely demanded for their softness, attractive look and user-friendly features. The particular range comes in hand and printed silk scarves. Moreover, this is handmade silk scarves that are beautiful in appearance, in a striking combination and long fringes. This is designed based on present artistic appeal. For meeting the diverse choices of the clients, we are engaged in offering Pink Woolen Stoles. 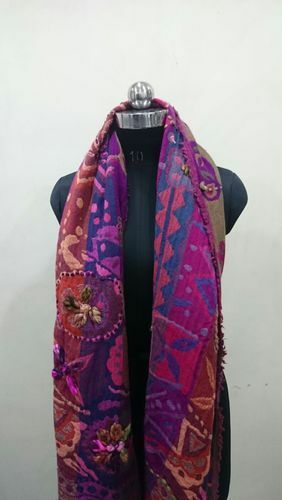 These Pink Woolen Stoles are designed from the optimum quality fabric and best stitching machines as per the trends & quality standards of market. The offered wool stoles are available from us in diverse sizes & customized options as per the customer’s choice. As well, our wool stoles are strictly examined by our quality experts so as to supply a defect free range.